Post your Zacchaeus Art Workshop lessons and ideas in this topic! Read the story ahead of time. Welcome the children and introduce yourself. Call the children by name. Say: Zacchaeus was not a very tall man. Ask: Have you ever been to a parade, or sat in church, and you couldn’t see what was happening in front of you? Zacchaeus wanted to see Jesus so he climbed a tree. How do you make yourself taller? How do you feel if someone notices you trying to watch them? What did Jesus do when He noticed Zacchaeus? Set climbers aside while glue dries. Decorate “Jesus” block. Attach angles as needed. When glue dries on Climber, thread 6-8 feet of string through straws. Knot bottom of string so that it doesn’t slide through straw. Thread top of string through Jesus block. Attach Jesus block to top of a door. Alternately pull knots near climbers hands and watch climber head up to Jesus! Read story. When Jesus calls climber down, release string and watch climber slide down. Read story with Z and with children’s names. Why did Zacchaeus feel the need to look for Jesus? Why did others think Zacchaeus wasn't big enough/good enough to be with Jesus? What makes a person "small" or "large" in God's eyes? Clean up and close with a prayer. Apparently this is an old-fashioned toy! For younger children we made stand up paper trees, gluing torn tissue paper on for the leaves and trunk. I found a picture of Zacchaeus in a coloring book and reduced it on the copier; students colored it and glued the figure onto the tree. A very simple, inexpensive project to do. Avery Label makes "White Printable Magnet Sheets" of paper that can be printed or drawn on. They can be used in an inkjet printer to create the outline. The big question I have is HOW to make this an "Art" project, rather than just a craft. IE, how can the kids express their understanding of the story through the medium. It may be that the kids need to write something that accompanies the project. It would be good to have Zaccheus and Jesus as separate pieces the kids could manipulate to retell the story. Also....have the kids make a cut-out magnet of themselves "wanting to see Jesus." Find a picture with Zaccheus, a crowd of people, Jesus and a tree. Take a styrofoam meat tray and paste the tree and crowd to it. (These could also be drawn while telling the story) Poke 2 holes and run a piece of yarn through the tree(one at the bottom of the tree and one at the top.) Glue Zaccheus to the piece of yarn so he can be raised and lowered from the tree. Take the picture of Jesus and paste him to a popsicle stick. Have the children sing the song Zaccheus and pull the yarn to have Zaccheus climb the tree and move Jesus to talk to Zaccheus. Preschool thru high school loved this portrayal of the story. Make windsocks (made of a paper sack and streamers) that could be hung in a tree; the verse could be printed on it. 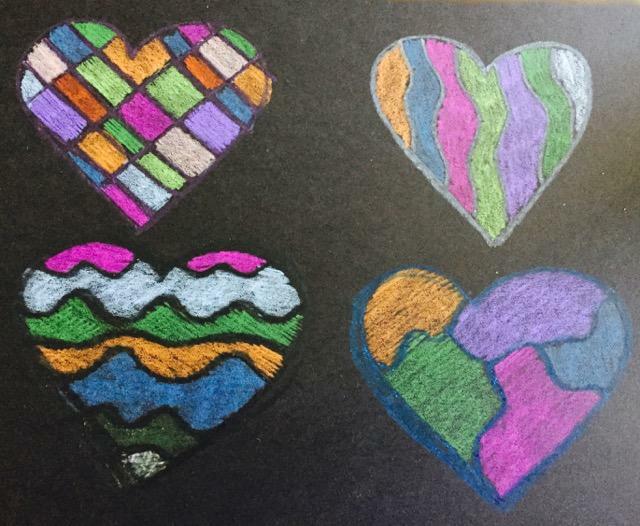 The children will utilize the technique of crayon resist to create colorful hearts to represent how Zacchaeus’ heart was changed when he met Jesus. Theme: Jesus loves and accepts everyone. God’s love transforms lives. Children will locate the story in the Bible. Children will identify the four gospels. Children will retell the story in their own words. Children will identify Jericho as the place this story took place and locate it on the map. Children will discuss the role of tax collectors during Jesus’ time. Children will describe ways Zacchaeus was changed by Jesus’ love. Children will identify ways their lives can be changed. Children will explain in their own words the meaning of repentance and sanctification. Children will memorize Luke 19:10.
Review background information, teaching tips and lesson materials. Review the Music CD. The song “Change My Heart O God” will be a key part of the art lesson. Listen to the lyrics and be prepared to discuss with the children. Write the memory verse on the board in the room. Gather the children together at the tables with their Bibles. Welcome the children and introduce yourself. Start with a time of "opening prayer." Do: Light the Christ Candle and place on the center of the table. Say: Jesus was on his way to Jerusalem to celebrate the Passover with his friends. The roads were very crowded – many people were traveling. Jesus’ reputation had grown and many people wanted to get close to Jesus, to talk with him, to see him, to touch him – and maybe even to experience a miracle. Ask: What can you tell me about Zacchaeus? Say: Zacchaeus was a Jewish tax collector. Tax collectors were hated by the Jewish people because they were cheaters. Tax collectors collected money and gave it to the Romans, but they also took extra and kept it for themselves. So most of the time, tax collectors ended up being very rich – at the expense of their neighbors. Say: The Jewish people did not think any Jew should have to be “saved.” They believed that if you followed the laws of the Church, God would bless you. (Remind the children of our story of Nicodemus from last month’s study in John 3:1-17… Jesus explained that to enter God’s Kingdom, one must be “born again” – a spiritual birth. This means having a changed heart, and believing and trusting in Jesus as your Savior). Say: Let’s see who in today’s story needs a heart makeover. Do: Have the children turn to page 629 in The Picture Bible. Begin reading at the bottom frame (Jesus and the crowds). The man with the yellow hat is Zacchaeus. He is trying to see Jesus. Read page 630-631 (top two frames). Say: Today's story is found in the gospel of Luke. Luke wrote his gospel to a primarily Gentile (a non-Jewish) audience. He had a special interest in helping outsiders: the poor, the marginalized, the unpopular come to know Jesus and to know that Jesus loved them. Sometimes we say, Luke's gospel shows Jesus' concern for the "least, the last and the lost." Say: Zacchaeus was a much-hated tax collector. Let’s read about tax collectors from a note in our Bibles. Do: Have the children locate Luke 19:1-10 in their Bibles. Read the passage (or assign the passage to different children – choosing at random, rather than going around the circle). Have all the children follow along in their Bibles as the scripture is read. Do: Read and discuss the Bible note: "People in Bible Times: Zacchaeus" on page 1152. Lost -- In this verse "lost" does not mean that you can not find something, like when you lose your phone. In this case being “lost” means being far, far away from God. We said that Luke's gospel shared Jesus' concern for the "least, the last and the lost." Say: Tax collectors were hated because they were cheaters. They hurt other people, stealing from them. Imagine the heart of someone who is a cheater and who treats others unfairly. Do: Hold up a heart cut from black card stock. Say: This was like Zacchaeus before he met Jesus. He had a hard, very dark heart. But we also know that even when we are very far away from God, God wants us to come near. God’s Spirit, the Holy Spirit is always moving around us and in us to draw us close to God. Ask: Remember in our story last month, Jesus compared God’s Spirit to ____ ? (the wind). What clues do we get in our story, that tell us that God’s Spirit was working on Zacchaeus even before he met Jesus? (he wanted to see Jesus. He climbed the tree to be able to see above the crowds). Say: Zacchaeus REALLY wanted to see Jesus! Rich, famous, and dignified Jewish men would NEVER climb a tree. It just wasn’t done! So we know Zacchaeus must have really wanted to see Jesus. Ask: What did Jesus do that shocked everyone there? (told Zacchaeus he was going to his house). Say: WHOA!!! It was REALLY against the rules for good religious people to hang out with people like Zacchaeus – sinners, tax collectors, cheats. Ask: I wonder how Zacchaeus felt knowing Jesus wanted to be with him? I wonder if knowing that finally, someone wanted to be with him… I wonder if that started to soften and lighten Zacchaeus’ hard, very dark heart? Say: By going to stay at Zacchaeus’ house, Jesus showed love and acceptance. We don’t know all that they talked about while they were at his house, but we do know Zacchaeus’ heart was changed. It went from being mean and dark to being filled with light and love. Say: When we are sorry, we want to make up for the wrong things we have done! This is called repentance… it is more than just saying “I’m sorry;” repentance means turning AWAY from doing wrong things and turning TOWARD God. Say: Today we are going to create "Changed Heart Pictures." We’re going to take a dark heart and change it to fill it with light, beautiful color. 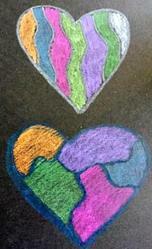 Our created heart pictures will remind us of the change in Zacchaeus. Do: Pass out a piece of black card stock (with heart drawn on with crayon) to each child. Say: Before Zacchaeus met Jesus his heart was empty and dark. After he decided to follow Jesus, his heart was changed. It was filled with light and love. 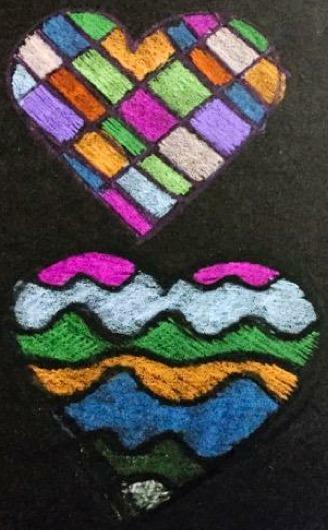 Do: Show the examples of colored hearts. Say: We’re going to create our own "changed" hearts today. First, use a dark crayon to divide your heart into sections – you can make stripes, wavy lines, checkers, zig-zag lines or any lines you want. You’ll just need the heart to be divided into at least 3 or 4 different sections. (It might be helpful to demonstrate some of the designs on the white board or a flip chart.) Be sure to go completely to the edge of the crayon heart line. It can be a little hard to see the dark crayon on the dark paper. Turning the paper at a slight angle helps. 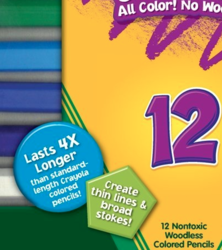 Do: Distribute a dark crayon to each student. Once the hearts are divided, have the children stop and face front. Say: These lines you have drawn in your hearts are made of wax from the crayon. If we add more color to our hearts, using a different medium, these wax lines will resist or stop the added colors from spreading. Do: Pass out the colored pencils. Have the children use the colored pencils to carefully color in the sections of their hearts. The wax from the crayon will resist the color for the most part, but it works best if they color gently, especially around the outline of the heart. Different effects can be made by coloring all in one direction, then in the opposite (cross-hatching) or coloring first one way and then another. Say: As we work we’re going to listen to a song called "Change My Heart O God." We might say this is Zacchaeus’ theme song, because his heart certainly was changed, wasn’t it? Listen to the song as you color. Pay attention to the words and imagine that Zacchaeus was singing this song. Do: Play the song "Change My Heart O God" as the children work. Do: Once children have completely colored their hearts, add a label to the picture. 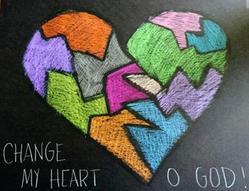 3-5 graders can write “Change my Heart O God” on their picture using a light colored pencil. Do: Have children gather around the table with their Changed Heart pictures. Say: Your hearts are beautiful! They are filled with amazing colors! What a wonderful and amazing change! Just like Zacchaeus – our hearts can be changed when we trust in Jesus as our Savior. Say: The Holy Spirit now lives IN us and helps our faith grow. Growing more and more like Jesus is called sanctification. This is the goal of the Christian life – to be more like Jesus. Ask: What can you do this week to demonstrate the kind of love Jesus showed Zacchaeus? Do: Gather the children together near the candle for closing prayer. Say: Remember this is important prayer time, not play time. This is when we remember that God is with us, just like God was with Zacchaeus. God wants our hearts to be beautiful and loving and kind. 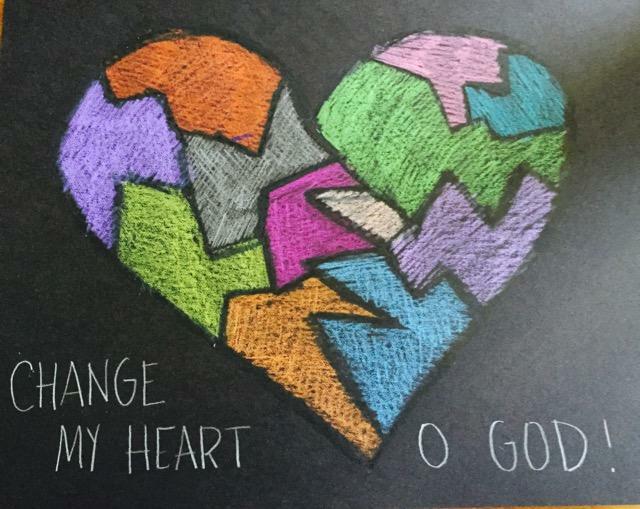 Say: We’re going to close by thinking about the words to the song "Change My Heart O God." The singer asks for God to change his heart, to make it true, to make it like God’s heart. Say: Think about that for a moment. God wants us to have a heart like that… a changed heart like Zacchaeus. A changed heart that leads to changed lives – more kindness, more forgiveness, more grace, more faith, more giving, more honesty. We will close with a prayer about one way your heart can be changed to be more like God’s heart; a one-word-prayer. We will go around the circle and pray your word out loud. Once everyone has prayed, we will close with the Lord’s Prayer together. Amazing, loving God, Thank you for loving us even when we do wrong things. Help us to have loving, kind and generous hearts like you. Help us to remember that your love can change even the most hardened and dark hearts. Help us remember that you are with us always, no matter what.